Enervex Fan Source... Enervex Pizza Oven Fans... fan failure. Typically, fan failure is due to excessive termination temperatures and/or a poor maintenance schedule. 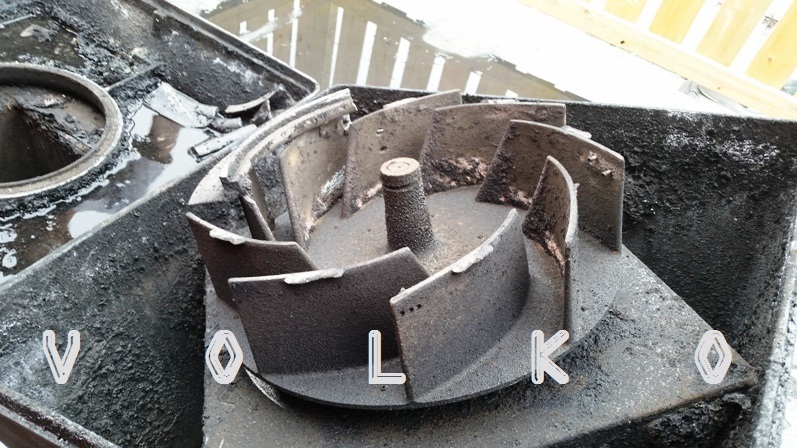 Especially in a wood burning application... the fan, as well as the flue system should be inspected regularly to manage grease and creosote build up. The flue gas temperature before moving through the fan, should not exceed the recommended 575°F (300°C) intermittent / 482°F (250°C) continuous. 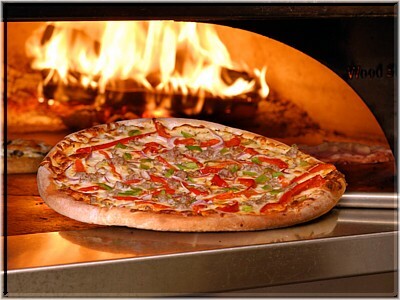 The end result from a finely tuned pizza oven can only be maintained when the same attention and commitment is kept from the oven's deck to fan. Regardless of an architect, engineer or oven manufacturers recommended fan selection... flue height and operating temperatures should be considered before installation of any fan. The easiest and most economical way to lower termination temperature is with RSD Dilution Bolts. 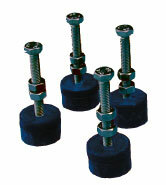 The RSD dilution bolts are used to lift the fan above the chimney or the steel chimney adapter. The dilution bolts are designed to obtain a vibration-free operation as well as to allow dilution air to enter the fan to cool off the flue gases. Dilution bolts are used for applications where the flue gas temperature, or the temperature of the exhaust going through the fan, exceeds 575°F (300°C). It is recommended to check termination temperatures during any fan/motor repair. Adding dilution bolts could extend a fans operating expectancy. 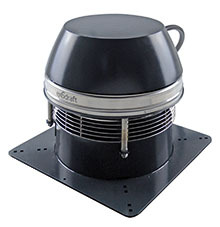 ENERVEX Fan Speed Control FSC is used in conjunction with all single-phased chimney fans. 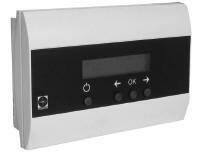 The fan speed control is specially engineered to provide variable speed control of split capacitor motors. 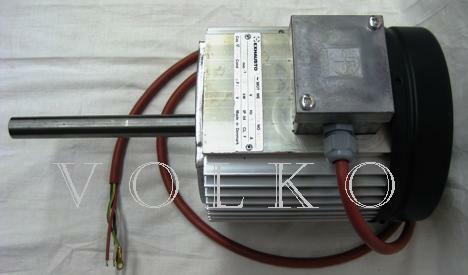 The control is accomplished by reducing the line voltage to the motor thereby using only the energy required to maintain the desired volume of air flow (fan speed). A pizza oven fan must run during the ovens entire cooking operation... failure to keep the fan on can result if fan failure. 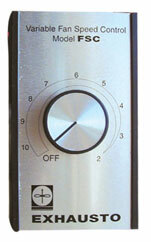 Use the FSC variable fan speed control to dial in the perfect draft and maintain a constant oven temperature. A chimney fire from an unmaintained fan or flue system can shut a kitchen down. 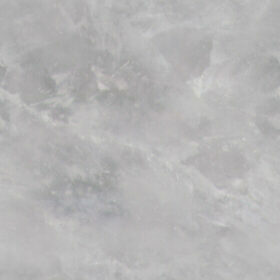 A costly repair/replacement that can be avoided. 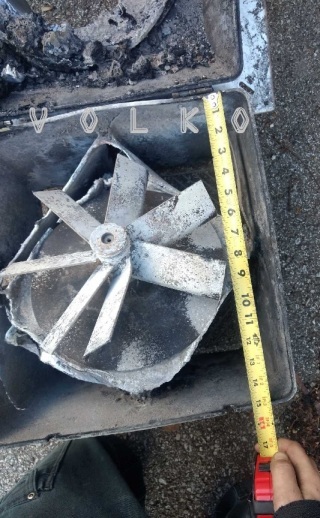 This larger GSV series fan was destroyed in a chimney fire. The extreme heat actually melted an aluminum cover plate off its impeller wheel. 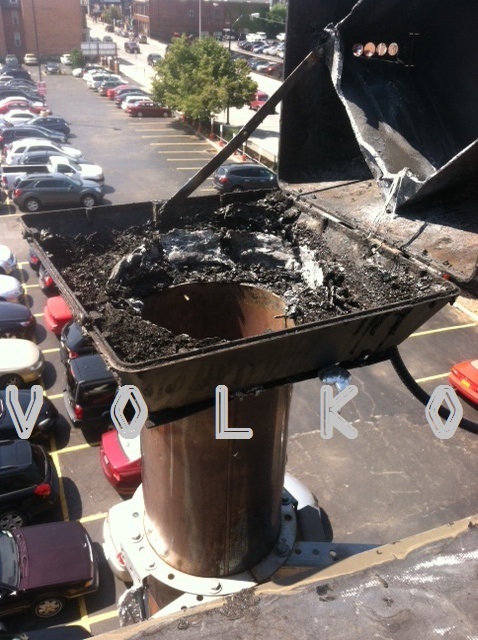 This GSV12 Pizza Oven Fan also endured through a chimney fire. The heat generated within the case acted like a kiln melting metal that can be seen oozing out the bottom weep holes. There is a working GSV fan on a separate flue adjacent to this fan fail, partially seen at bottom right of photo. Notice the grease/creosote trail dripping over at the edge of the upper fan vent. 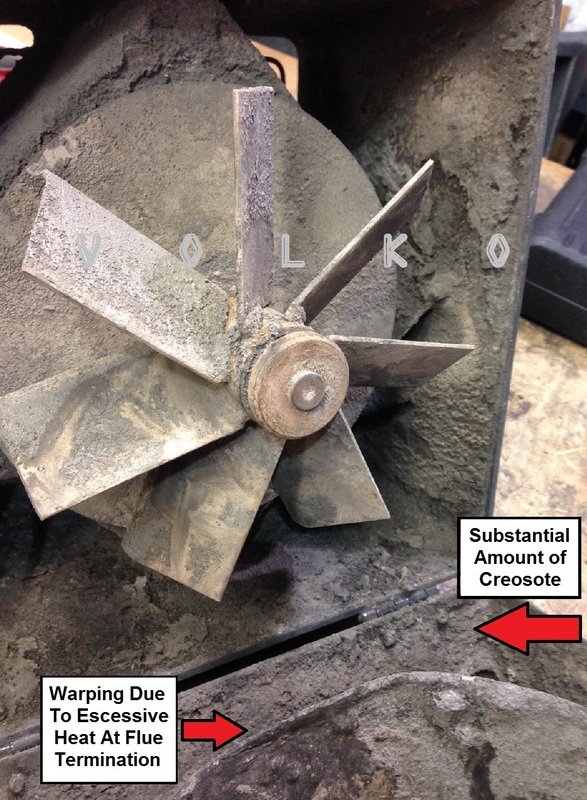 An inspection and cleaning was advised as this fan may undergo the same fate unless properly maintained. 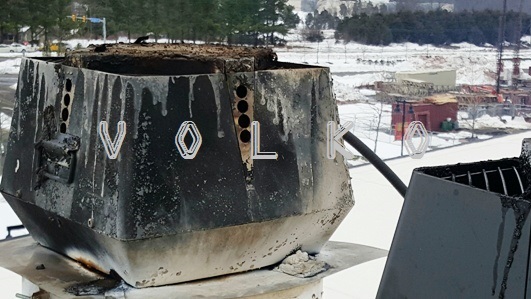 The Chimney fire through this GSV melted almost anything aluminum... especially around the top corner vents and bottom inlet collar. Aluminum "nuggets" were found down in the pizza oven as well as on the roof around the flue system with some melted into the roofing. The ID tag, located on the top plate for GSV/RSV fans, can become illegible from age or after a high heat event. 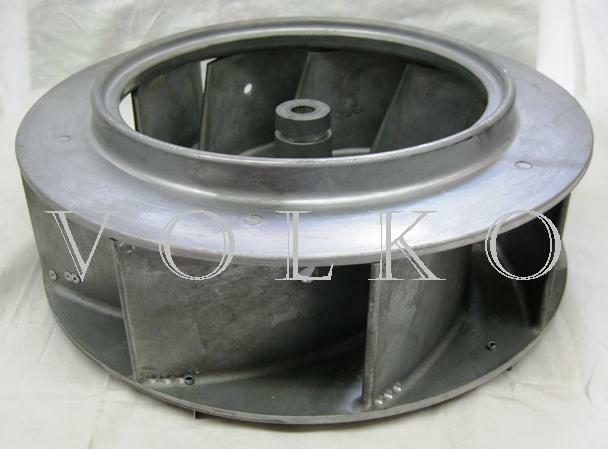 To determine the correct Enervex fan model and size... confirm if it has an axial vane or backward curved impeller... and reference a few housing measurements against an Enervex fan spec chart. The motor ID will also help... see our parts page for helpful pictures. This fan (left) was off a pizza oven from a restaurant. 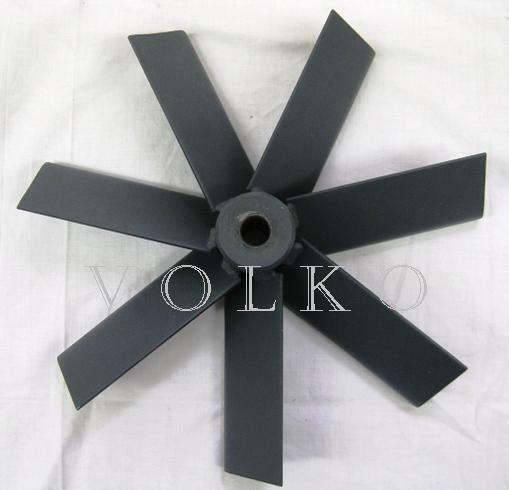 ***** Commercial kitchen would require a GSV series fan. ***** Axial vane would narrow it to 1 of 4 fans... GSV009 thru GSV016. When replacing an Enervex fan, motor or even just parts... especially if there is a recurring issue... we recommend that the application be checked and the fan re-sized to determine if the correct fan had been installed in the first place. On a 2nd Motor?... We can help, that's our job. Just because its there... doesn't mean its right. If a sink is installed where a toilet should be.... would you just replace it with another sink? It may work most of the time... but eventually it will turn to crap. And nobody likes a crappy job.